We have all seen the advice in the how-to-do genealogy books that we not forget court records in our research into our ancestors’ lives. 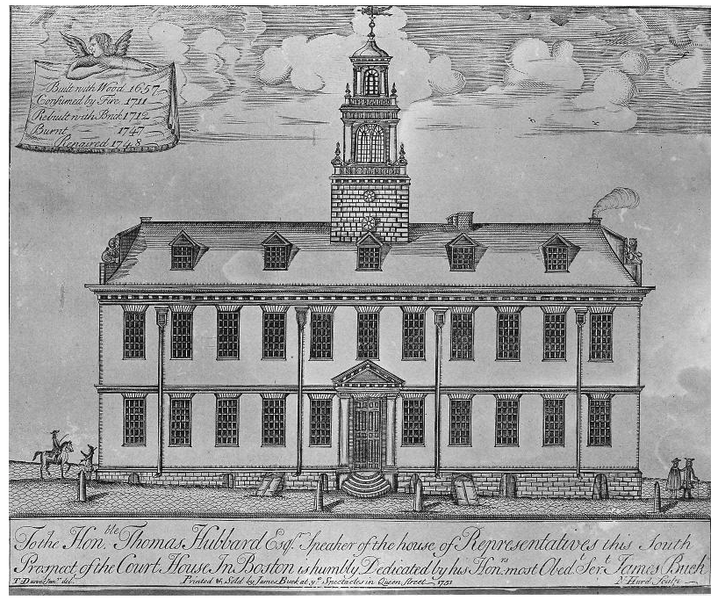 Court House, Boston, built 1713 (engraving 1751 by Nathaniel Hurd; courtesy Museum of Fine Arts, Boston), Wikimedia, public domain. One of the standard works on this subject that I find very clear and informative is Courthouse Research for Family Historians by Christine Rose. 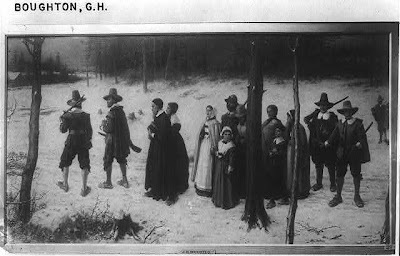 In order to fully appreciate the importance of court records for genealogical research, we need to understand the significance of law and the courts in the daily lives of the colonists in early America. Browsing through the new books at my neighborhood library, I came across The Notorious Elizabeth Tuttle by Ava Chamberlain, a scholarly study of how historians have mischaracterized Elizabeth Tuttle, the paternal grandmother of the great Puritan theologian, Jonathan Edwards. 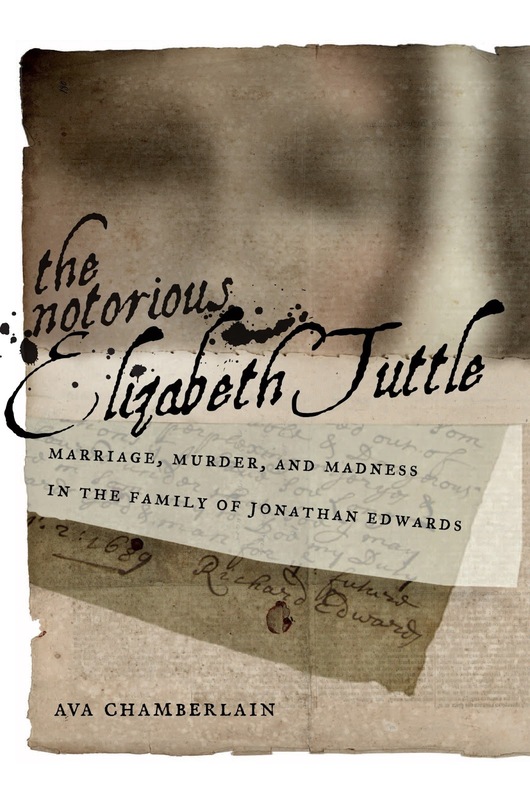 Although Professor Chamberlain wrote this book to uncover the true character of Elizabeth Tuttle, she also gives genealogists a great lesson in how to use court records to study ancestors. Why are court records so important a resource in studying colonial era ancestors? 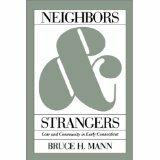 Chamberlain footnoted the above quote which led me to another study of the role of the court in colonial times: Neighbors and Strangers: Law and Community in Early Connecticut by Bruce H. Mann, Professor of Law at Harvard. Checking notes and bibliographies in the books we consult as genealogists is another very important part of research which can lead to information we might never have discovered otherwise. Mann tells us that the main reason people went to court in colonial times was to settle debts. As we are aware today, when people go to court, they often come away with bad feelings about each other. In colonial times, society was quite different from today; it was much more insular so the disharmony caused by law suits was more of a threat to the community than it is today. As we can see from the description above of the reasons people took each other to court, we have a strong indication of what types of records we might find in courthouse files. The records reflect people’s daily lives and go way beyond the catalog of “facts” that we read in birth, marriage and death records. What kinds of court records did Chamberlain come across in her effort to reveal Elizabeth Tuttle’s true story? The most telling records were the divorce petitions, and there were several including appeals, that Richard Edwards, Elizabeth’s husband, brought against her. And much earlier in their marriage, Richard had brought a petition of paternity against his new bride. We have seen that one function of the court in colonial times was to give people a place to air their differences without threatening communal bonds. The judges and the selectmen were the arbiters. But how did early Americans feel about the law? To find more about the role of laws and courts in early America. I did a google search and found a book by Peter Charles Hoffer entitled Law and People in ColonialAmerica. The quote above explains clearly why genealogists need to look at court records if they want to build a more complete picture of their early American ancestors’ lives. 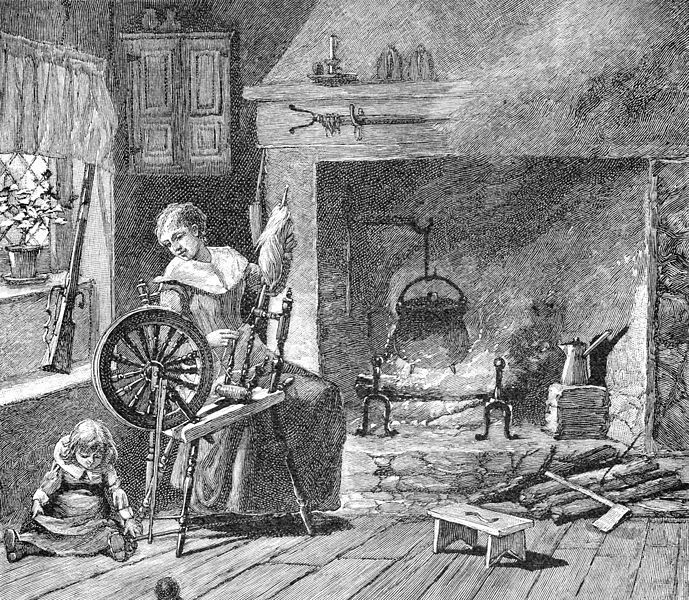 Colonial kitchen with woman spinning, an engraving, 1885, A Brief History of the United States by Joel Dorman Steele and Esther Baker Steele, 1885, wikimedia, public domain. This brings us back to Elizabeth Tuttle and why Chamberlain wrote a book about her life. Women, indentured servants, children, slaves and other marginalized people were often treated harshly under the law; they had no voice and so rarely do we hear or even know their side of any story. We are fortunate that through Professor Chamberlain’s research, Elizabeth Tuttle’s good name and reputation have been restored. 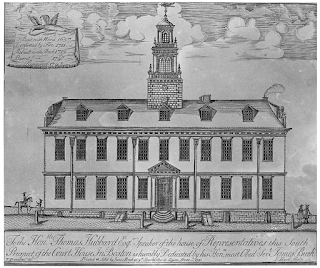 With this new knowledge of the colonial courthouse as a kind of theater where our ancestors played out many significant happenings in their lives, I look forward to looking for records left my Allis ancestors who lived in colonial Massachusetts and Connecticut. 1. Ava Chamberlain, The Notorious Elizabeth Tuttle (New York and London: New York, University Press, 2012), 2. 4. Bruce H. Mann, Neighbors and Strangers: Law and Community in Early Connecticut (Chapel Hill, NC, University of North Carolina Press, 2001), 18. 5. Peter Charles Hoffer, Law and People in Colonial America (Baltimore, MD, The John Hopkins University Press, 1998) xii.